Home » » #NigeriaDecides2019: Political Decisions and Its Economic Effects | B.K. Saka, Esq. 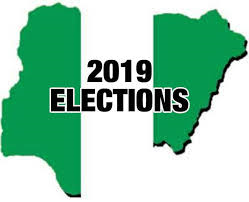 #NigeriaDecides2019: Political Decisions and Its Economic Effects | B.K. Saka, Esq. According to Reuters, Nigeria's economy will grow more slowly this year than previously forecasted, this is due to investors hold off before elections this year, the average investor is a capitalist he is concerned about the profitability of the market he is trading in, the indicators have not shown positivity as such he holds off. Investigators and financial experts' conjectures demonstrated a middle of 2.1 percent development for Nigeria, quickening to 3.0 percent one year from now, a noteworthy downsize from the past survey taken three months back, which demonstrated Africa's biggest economy growing 2.6 percent this year after a dreary 0.8 percent in 2017. The upcoming elections and its trademark of related high-wire political issues would affect business and investment alerts with respect to economic stakeholders. Business and venture decisions are definitely subject to the aftermaths of the forth coming elections. Despite the fact that President Buhari, to some degree, won the 2015 race on the strength of his anti-corruption promises, corruption is still endemic in Nigerian public life and it appears that it is only members of the opposition parties that are being prosecuted. Nigeria has one of the biggest youth populaces on the planet, with at any rate half of its evaluated 180 million-in number populace younger than 30. This could be a gigantic advantage for the nation yet the current financial conditions where this advantage is harnessed, the reverse is sadly the case, as a very large percentage of these young persons are unemployed and the economic environment makes its unrealistic for them to thrive. Amidst these negatives, we expect the continuous recuperation in oil generation to make ready for robust medium-term prospects, helped by enhanced transparency in the energy sector and others. Likewise, the bounce back in the economy would be coordinated by enhancements in the fiscal balance, as the spending shortfall is anticipated to ease from 3.6% of the GDP in 2017 to 3.2% in 2018. An enhanced business atmosphere and speculators' certainty have been the aftereffects of the upward development in Nigeria's ease of doing business ranking. A huge enhancement in credit to the private sector will drive individual investment development and thusly affect business and buyer utilization emphatically. The standpoint of the naira past 2018 stays empowering regardless of fears that the raw petroleum supply excess may bring costs down in 2019. Having directed its month to month Forex request by 65% in 2017, a further significant decline is normal in 2019 as Nigeria's biggest Forex use the importation of refined oil-based goods is probably going to be taken out when the Dangote refinery goes ahead stream. As 2019 races move closer, stock trade dives by 19.77%. The year 2018 was not all that glowing for the Nigerian Stock Exchange as its significant markers devalued by 19.77 percent because of vulnerabilities encompassing the expected general decisions. The News Agency of Nigeria reports that the NSE which was named the third best performing stock trade on the planet in 2017 with more than 43 percent degree of profitability performed horridly in 2018. Specialists said the market, which began the primary quarter on a positive note, plunged because of the withdrawal of assets by remote portfolio financial investors who were concerned over the pending elections. Given all these Negatives, one way out of a conceivable reaction on the economy is that Politicians and their cronies need to receive down to business systems that would ensure quiet battles and balance out the country to guarantee a practical market bounce back. Besides, it should be perceived that uncertainty and social issue are disincentives to speculation. Government should meet people's high expectations of handling, with all earnestness, the lamentable advancements so as to re-establish investors' certainty. The polity must be quiet. Politicians should be upstanding and play by the standard by following fair treatment to guarantee a serene environment in front of the decisions. Politicians require not overheat the polity. The political class needs to understand the nexus between political decisions/indecisions and economics. It will be ridiculous to win an election, then spend years convincing investors to come (or comeback) to invest in the country. To have a prosperous 4-year ahead, our leaders have to take strict business decisions that will make Nigeria a hive for investors and magnates. Kolapo is a legal practitioner at the prestigious Ayanlaja, Adesanya & CO, Situate in ILupeju, Lagos. He has keen interest in Business and Corporate Law, Commercial arbitration and Fintech. He also writes and advises business start ups and SMEs.